Don’t think you can stomach Candyland one more time? Try these inventive fun games that will kick boring family game nights to the curb! 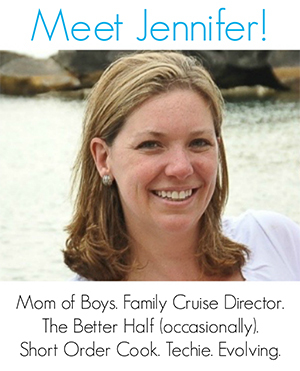 Before I became a parent, I had visions of enjoying quality family time with my kiddos. We would all get comfy around the game board and quietly play a wonderful game. Then reality hit! I don’t think I can play Candyland one more time!!! 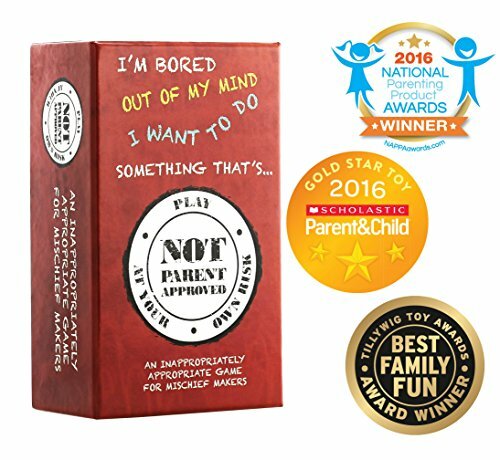 Not Parent Approved: A Card Game for Kids, Families and Mischief Makers: Inspired by Cards Against Humanity but for kids. 100% family-friendly! Winner of Scholastic’s Gold Star Toy Award! 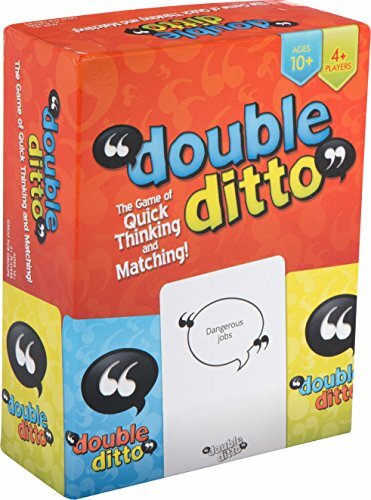 A hilarious word game of fill-in-the blanks designed to reintroduce a love of tabletop games for a screen-obsessed generation. Attention-grabbing. Easy-to-learn. Quick, simple play. 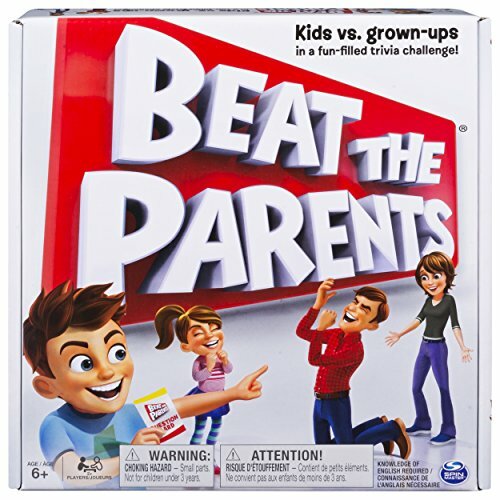 Beat The Parents Board Game: Beat the Parents brings kids together with their parents to go head-to-head in a fun-filled family trivia game. Prove who’s the boss in the game where the adults answer questions about kids’ stuff, and the kids answer questions their parents should really know. The first team to get both movers across the board to the other side’s start spaces wins the game! 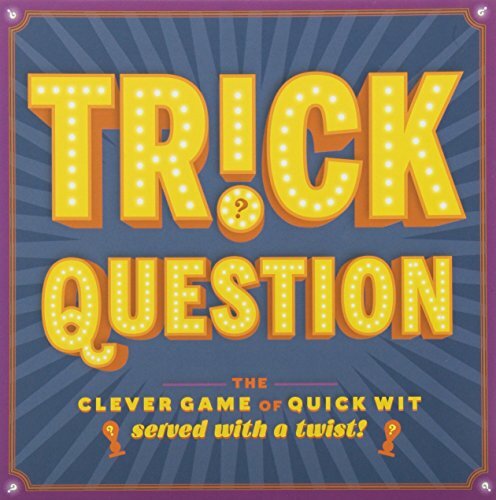 Trick Question: The Clever Game of Quick Wit—Served with a Twist! : The party game where things never mean quite what they seem! Every question has a trick up its sleeve, and it’s a race to outsmart your friends. Will you grab the US! Totem and solve the riddle yourself, or reach for the THEM! Totem and put the other team in the hot seat? Packed with 400 brainteasers that will keep everyone guessing (and laughing), Trick Question is the next hit board game for clever people! 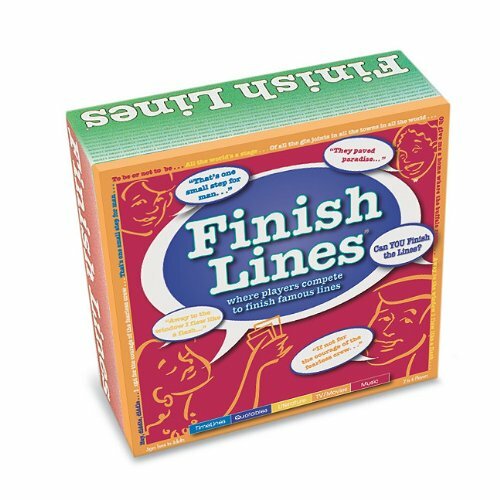 Games for All Reasons Finish Lines: Designed for two to six players, Talicor Games for All Reasons Finish Lines is about famous sayings. In this game, kids need to use skills to fill in and finish some of the popular quotes from history, literature, film and more. This game is entertaining as it combines learning with fun. The first player to win all line tiles and finish the line bar wins it. 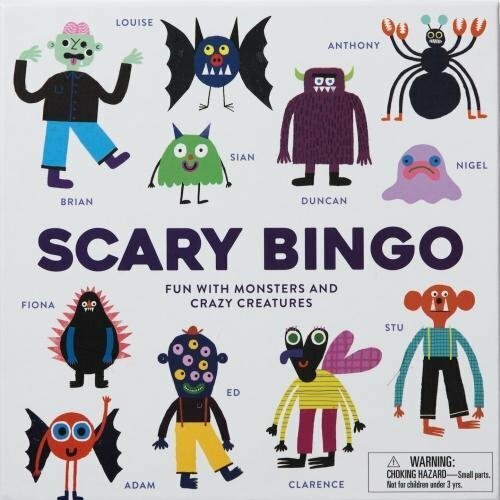 Scary Bingo: Fun with Monsters and Crazy Creatures: Play bingo with a menacing mummy, a bowler-hat wearing yeti, a multi-eyed monster, and many more creepy creatures in this fun and inventive take on the classic game… if you dare. Easy to play and full of strange and colorful characters, Scary Bingo will engage and delight children for hours. It can be played with 3–7 people, making it the perfect game for families in need of spookily good entertainment. 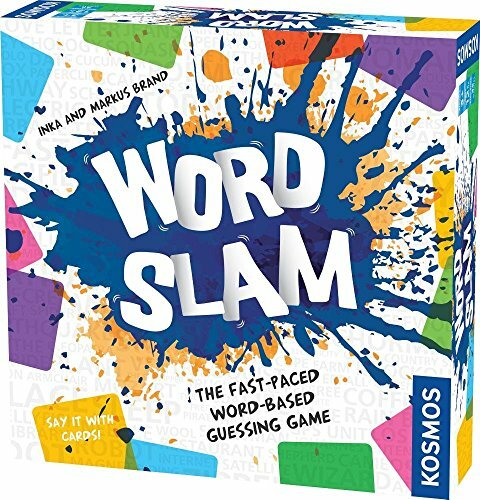 Word Slam (The Fast-Paced Word-Based Guessing Game) Game: In Word Slam, two teams each have a storyteller. The two storytellers are given the same answer term. Playing at the same time, they must give clues to their teams so the teams can correctly guess the answer. And they must do this quickly, because they are racing the timer and each other. But it’s not that easy. Speaking and acting is absolutely forbidden for the storytellers! They must tell their stories using only 105 cards, each with one word on it- a noun, verb, adjective, or preposition. It’s like charades, but instead of acting, you can only communicate with word cards! 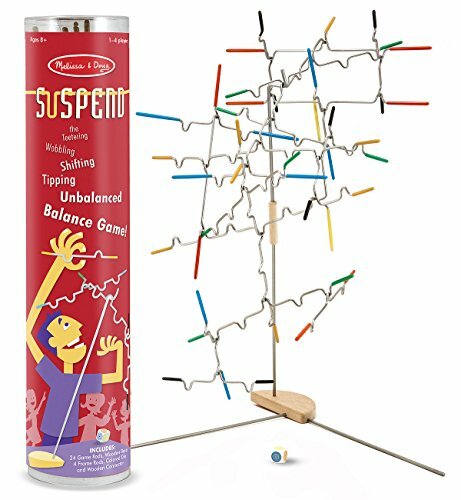 Melissa & Doug Suspend Family Game: This award-winning ‘teetering, wobbling, shifting, tipping, unbalanced, balance game’ is a must-have for family game night! Take turns hanging the notched, rubber-tipped wire pieces from the tabletop stand. With each added piece, the balance shifts and the sculpture transforms. But watch out! One wrong move could send it all crashing down! 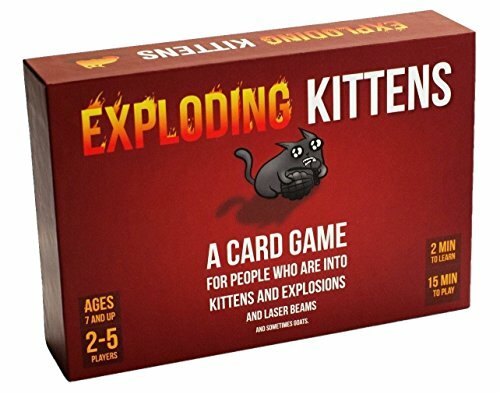 Suited for 1-4 players, this game is guaranteed to appeal to kids and grownups alike! Kwizniac: Kwizniac, The Trivia Countdown Game, is a take-anywhere, twist on trivia games designed to test your knowledge. The object of Kwizniac is to accumulate as many points as possible by correctly answering trivia questions with as few clues as possible. 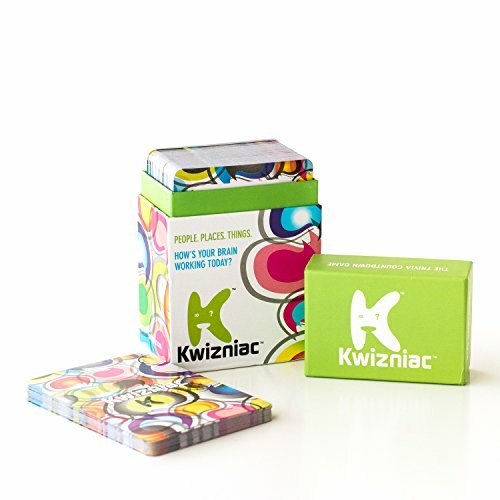 Unlike most trivia games that give you a single question about a subject, each Kwizniac clue card has a set of 10 clues in decreasing order of difficulty. The more clues it takes to answer the question, the less points you receive. Kwizniac offers a more enjoyable trivia experience where you’ll always get the answer eventually. 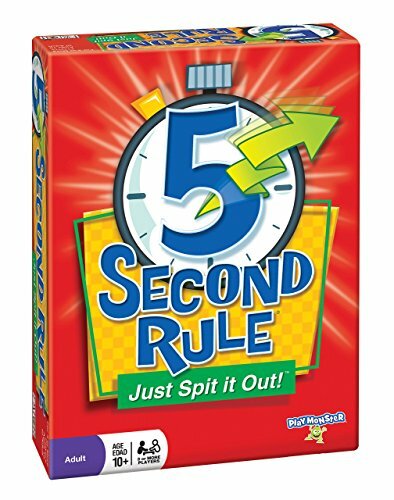 5 Second Rule: It should be easy to name 3 breeds of dogs—but can you do it under the pressure of 5 seconds twisting down, and with the other players staring at you, waiting for you to get flustered? Time’s not on your side, so just say what comes to mind and risk ridiculous answers slipping out as time twirls down on the unique twisted timer! It’s all in good fun with this fast-paced game where you have to Just Spit it Out! Oh Snap! 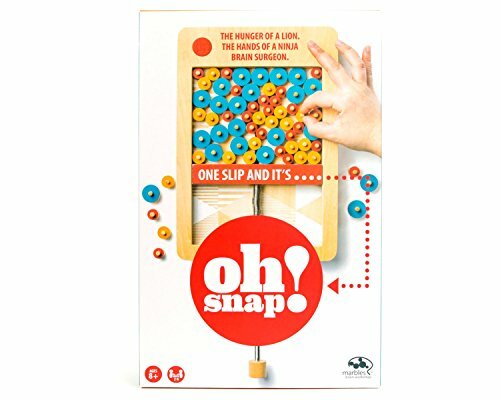 Board Game: Oh Snap! is a family board game of dueling decision-making that requires the hunger of a lion and the hands of a ninja brain surgeon! Make enough right choices and you will be crowned the snap grand master. Make the wrong moves and SNAP! the board will speak – and the board makes no apologies! To play, pull back the snapping bar and place all of the discs on one side. Release the tension on the bar and let it slide into place. Then, take turns removing one disc at a time. If you remove a disc without the bar snapping forward, you can keep the disc and points are added to your score. However, remove a disc as the bar snaps forward and you must discard the disc and lose points. Listography: The Game: May the Best List Win! A new twist on the bestselling Listography journal series (over a million copies sold! ), this game invites players to create and share lists based on fun and thought-provoking topics –from geography and pop culture to toothpaste and constellations! With the goal of being the first around the game board, players score points according to the number of similar or unique answers. Every round in the game results in creative thinking, surprise outcomes, and lots of laughs. Small and compact for travel and to take to dinner parties! Inspiration Play Double Ditto Family Party Board Game: Creative Child Magazine: GAME OF THE YEAR Award 2016! Pick a card, read it out loud, and then quickly write down 2 answers you think other players will also write. Laugh or cry as you discover whether you were able to match any answers with other players. Find out whose mind is in sync with yours. It may not be who you expect! 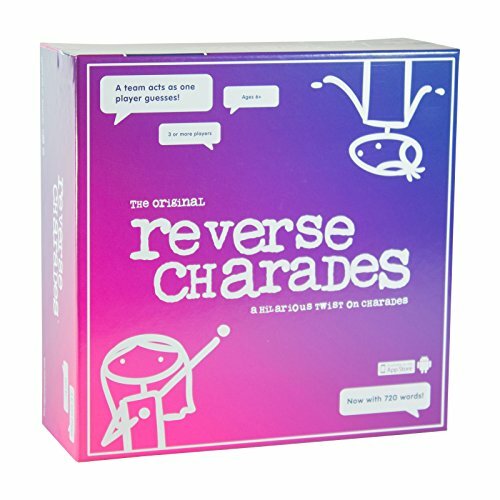 Reverse Charades Board Game: Award winning Reverse Charades is a hilarious twist on the classic game of charades. Instead of one person acting out a clue for a team to guess, a team acts out clues for one person, so now everyone is in on the fun! In 60 seconds, teams attempt to guess as many words or phrases as they can. The team with the most correct guesses wins. Reverse Charades is perfect for family fun, parties or team building. Love these fun ideas to stop boring family game nights? Try these other fun family activities! I love the idea of the Beat the Parents one! These all look so fun!